They had some trouble keeping it Rated PG. 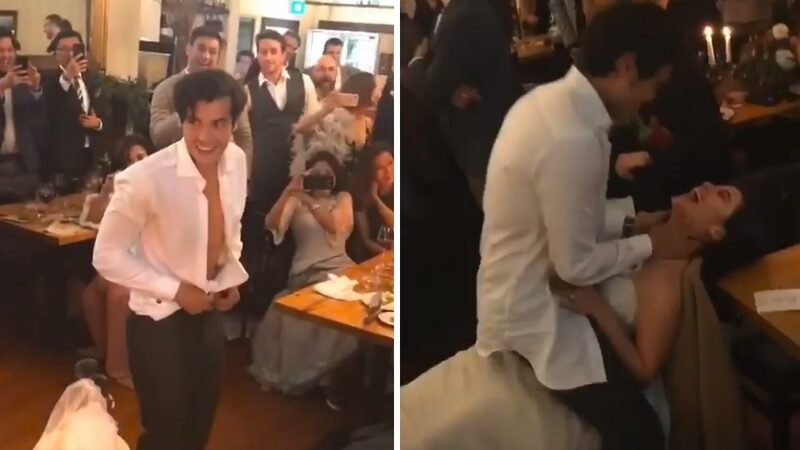 Over the weekend, everyone was tuned in for updates on the wedding of Anne Curtis and Erwan Heussaff in Queenstown, New Zealand—from their pre-wedding welcome party down to the rustic reception at the Walter Peak High Country Farm. When there's overflowing booze and a room filled with people who love each other, there can only be an insane amount of Instagram-worthy party shots. And thanks to the power of social media, here's a peek at some of our favorite dance floor moments at #TheWanforAnne. Here's how true friends look out for each other: "Belle, 'yung anak mo!"